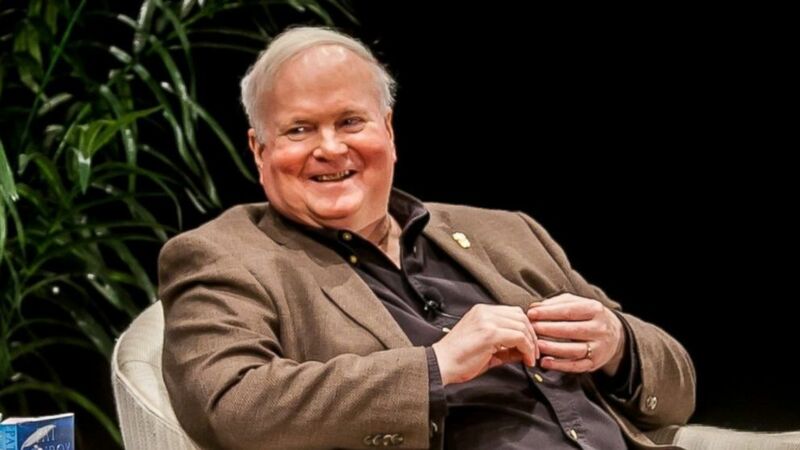 I don’t want to oversell Pat Conroy as a man and as a writer, and this is my third blog of recent months calling attention to him. The interest is the result of the book Our Prince of Scribes: Writers Remember Pat Conroy. That book is wealth of stories based on many personal experiences both close friends and fellow writers had with Conroy, who died in 2016. The book is published by the University of Georgia Press. Conroy, unlike all too many writers, was incredibly personable, generous, and outgoing. He loved friends and fans with an unbounding zeal. He ended his letters, phone calls, and conversations with the words “Great Love.” I have decided to imitate him in that respect. It did not appear to be just a phrase, but rather was a heart felt conviction. The book about Conroy prompted me to buy and read the last book that he did. 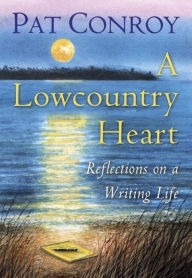 Titled A Lowcountry Heart: Reflections of a Writing Life, this book contains blog articles that Conroy wrote along with several talks he gave. This book is full of the wit and wisdom of the man. Beware: There are many aspects of his personality, viewpoints, and life that I don’t agree with or approve of. I don’t endorse the man wholeheartedly, but I do appreciate him. This book is a good follow-up to the tribute that his writer friends compiled. It is a good follow-up for anyone who has read and enjoyed any of Conroy’s books. Among other things, Conroy discusses the shadowy line between writing fiction and memoirs. Interested especially because several of his books are memoirs and fiction was his main claim to fame, but his fiction is heavily influenced by his personal experiences. Pat Conroy and I had some very different experiences growing up. I can blame my own dad for me not being a writer of Conroy’s stature. Here is why: My dad was a very kind, patient, and non-violent man. Conroy wrote often of the man who became known as The Great Santini. That happens to be the title of one of his best known books, which was made into a movie. The elder Conroy was a Marine pilot who waged war on America’s enemies and was not just strict, but brutal to his wife and children. He was, in short, a monster, but appears to have mellowed as the years went by. Pat loved his father, even as he detailed the cruelties inflicted on him and his siblings and mother. Those very experiences have endeared Conroy to many people (again, unlike myself) who had similar family experiences. 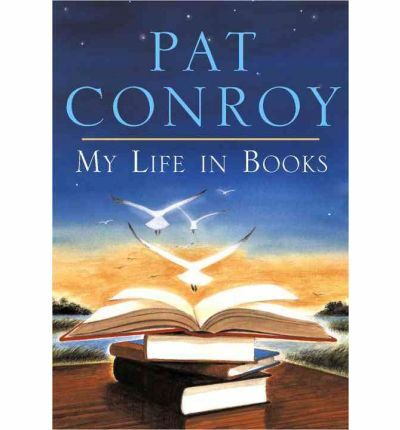 Another good read in the Conroy works is My Life in Books where he describes favorite books, authors, and other influences in his life. Both A Lowcountry Heart and My Life in Books are rather small compact works that are matching in appearance. From there, one can go on to enjoy many other works he did. I have most of his books and would not mind completing my collection. I wouldn’t mind even finding a copy of his favorite recipes that he put into a cook book. Quite an amazing man. This entry was posted in Uncategorized and tagged Looking at Books, Pat Conroy, Reading and Books. Bookmark the permalink.